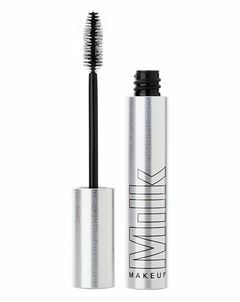 A moisture-boosting marvel, Milk's emerald offering won't fry your skin cells (don't worry, they won't spend the subsequent hours devouring crisps while they binge-watch cartoons) - instead, this infuses your skin with a cocktail of cannabis seed oil and thirst-quenching glycerin - perfect for keeping your face feeling plumped-up and dewy. Hemp vs. marijuana? What's the difference, you ask? Both part of the cannabis family, these strains are cousins, not siblings. Related but not living under one roof, hemp is low in psychoactive THC (the bit that makes you spacey) while marijuana boasts much higher doses - less fit for skin care, wethinks! Soothing and softening, this leak-proof marvel is also ideal for unclogging blocked pores to keep breakouts at bay. With kaolin clay to attract any stubborn impurities, alongside calming aloe vera to help relieve redness and coax stressed-out cells from the brink, this sassy, grass-coloured hero works hard for its space in your mask force. 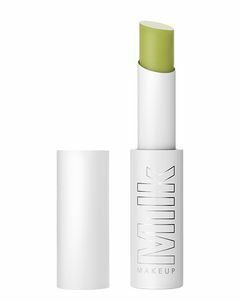 Incredibly concentrated, this ingenious stick formula is super easy to use without getting your hands dirty (or wasting precious product on your fingers) – just swipe over your face and leave for five minutes to benefit from its potent moisture-boosting ingredients.